THERE is deeply ingrained shyness and pessimism within me, that can only be cleaned by sea water. Growing up, my confidence was any old horse, or my dog. When I went anywhere attached to them, it was like a superhero cloak. Then it was my career; I had to talk to a lot of people every day that knew I knew a hell of a lot. Then other people read all I knew in the newspaper, and rubbed their chins, nodding. For a while, my bike took over. A carbon fibre steed so strong we could tame mountains together. We were solid, and everyone knew it. That felt pretty good. Then everyone disappeared over the hill. Now though, my power source, my sidekick, my confidence, is the sea. I don’t remember not loving the sea. I remember being a poor swimmer. I remember the adrenalin of scared. I remember breast-stroking a whole swimming holiday. But I don’t remember ever not loving the sea. All my childhood holidays were spent submerged in the mediterranean and surrounding swimming pools. Playing underwater tea parties, surfing small breaks ringed by an inflatable plane, or pretending to be a crocodile, basking on the shoreline. Whenever I’ve been close enough to see the sea since, I’ve been compelled to feel it, even if just on my toes. It was always there idly swishing, tide after tide, waiting to lift me up. When the flirt turned into a relationship? It’s hard to pin down. I’ll tell you another time. But now when I swim at all, it’s purely to continue to cultivate that relationship. 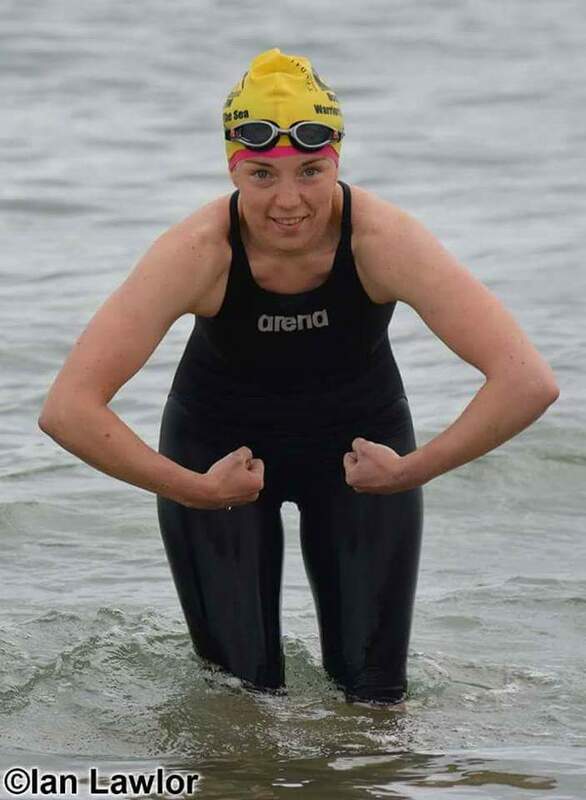 I tried to learn to swim front crawl to experience The Big Blue swimming holiday, and actually learnt to swim front crawl to experience Sligo’s Warrior of the Sea. I have moved from wetsuit, to skins, from warm water, to colder, and from floating, to racing. I have done it alone, and now do it with friends the sea gave me. I have done it with friends, and now with a lover, who is closer to me for it. Why? Because, as I said at the top, the sea is my power source; I get out feeling solid and full of whatever type of energy it has displaced. That’s why I swim. And what couldn’t you swim without? I could envisage borrowing anything, except my two swim hats. The base is a soft, stretchy pink hat from The Big Blue, and the top layer is a stronger, yellow hat from Warrior of The Sea. They never move. The essence of reliable. Reblogged this on Jessica Lamb.